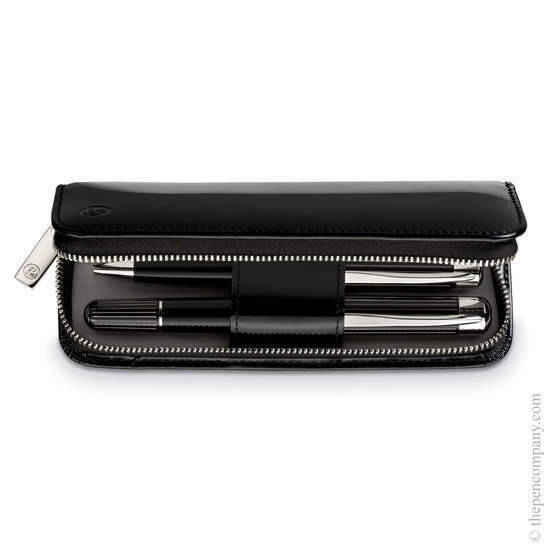 Pelikan's colourful zip cases for two pens feature glossy patent leather exteriors secured with a high-quality zipper. 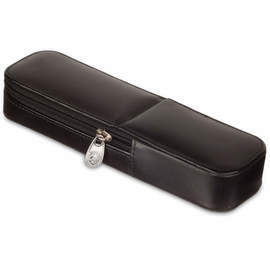 Two pens can be stored in these double pen cases, held securely in place with the flexible internal loop. 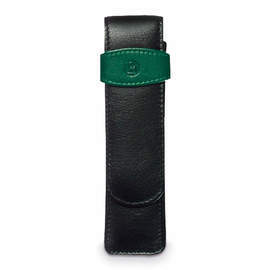 The zip tag is imprinted with Pelikan's distinctive logo and uses a nylon trim. Available in limited quantities in a glossy patent leather finish in yellow, black and green. 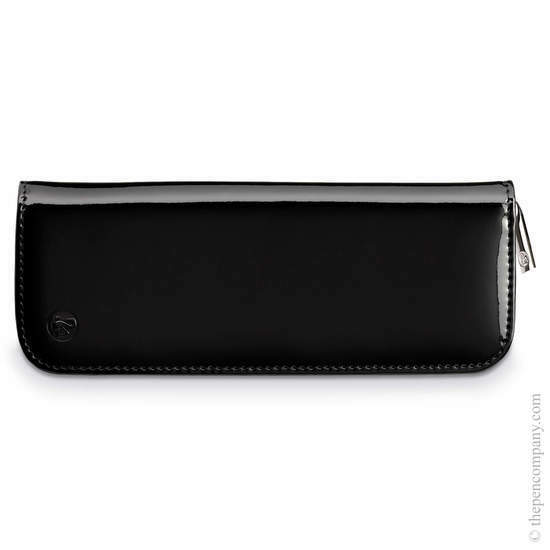 Black leather finishes available in top-grain leather and soft nappa leather.